The HydroConquest line by Longines is dedicated to those looking for a high performance timepiece that combines technical innovation and elegance. 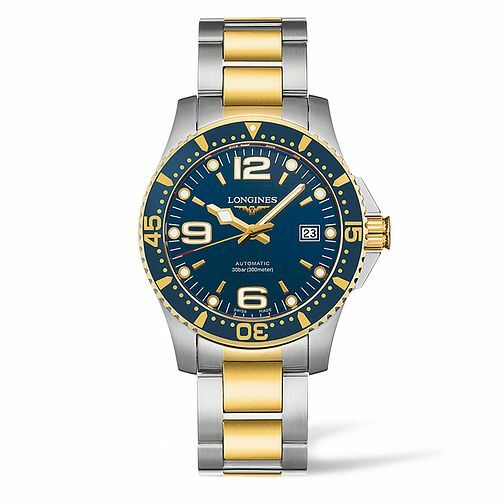 Featuring a stylish stainless steel and gold plated bracelet, round blue dial and large numerals. An ideal watch for work or play, this is an elegant timepiece for the modern gentleman.